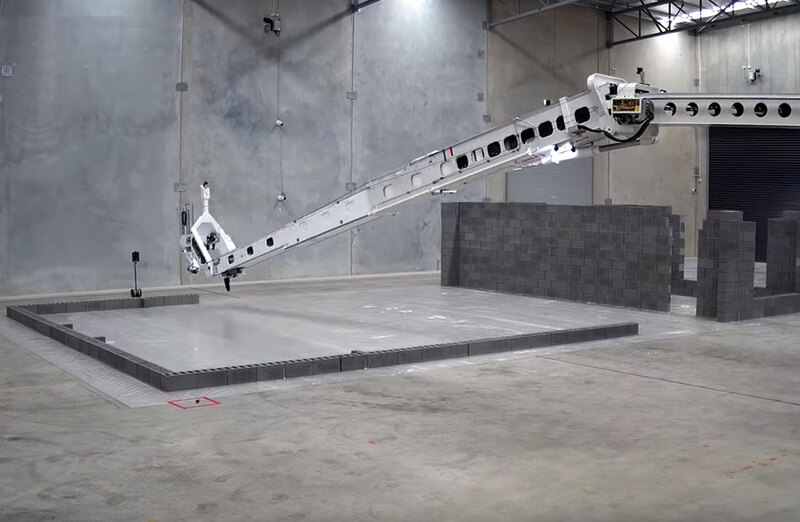 A new video of Australia’s one-armed bricklaying robot build its first full home structure has been released. The new footage comes after last week’s successful completion of a 180sq m, three-bedroom, two-bathroom home within the allocated three-day time frame. Robotic technology company Fastbrick Robotics Limited (FBR) announced last week its Hadrian X, the commercial version of its robot, built the three-bedroom home in less than three days described as a "world-first achievement". The ASX-listed company released a video clip said to show the robot constructing the house on the company’s YouTube account yesterday. “The video commences with the real and live Hadrian X robot building the home structure at FBR’s Australian headquarters and concludes with vision highlighting the possibility for Hadrian X,” the Robotics company said. FBR chief executive Mike Pivac said the company would make some refinements ahead of bringing both robots back to their High Wycombe facility for demonstration to key commercial stakeholders. “We now have the world’s only fully automated, end-to-end bricklaying solution, with a massive market waiting for it,” Pivac said. Factory Acceptance Testing was conducted at FBR’s test facility, before the Hadrian X commenced construction of its first full home structure last week. The structure was verified as meeting all the relevant building standards by a civil and structural engineering consultancy group on completion.